The Obama administration Tuesday offered strong support for an earthquake alert system on the West Coast that would warn residents and businesses seconds to minutes before the shaking starts. At a White House summit Tuesday, the Obama administration offered strong support for an earthquake-alert system on the West Coast that would warn residents and businesses seconds to minutes before the shaking starts. With next year’s federal budget still in the works, the administration didn’t promise additional funding. But a private foundation and Northwest businesses, including Amazon and Intel, pledged financial or organizational resources. Some of the money will also be used to plan a network of seafloor seismometers off the Northwest coast to more closely monitor the 700-mile fault called the Cascadia Subduction Zone. Kimball said a functional early-warning system just started beta testing, and Congress appropriated $8.2 million this year. But adding enough instruments for a top-notch network could cost $38 million, while yearly operations could run about $16 million. 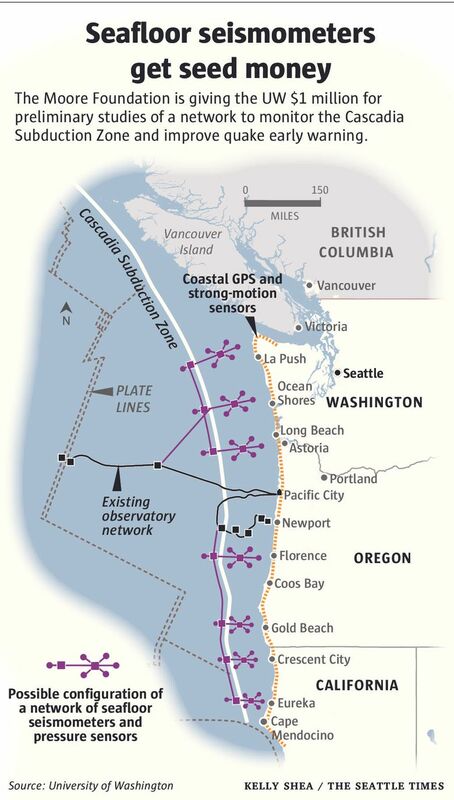 “We’re halfway there,” said John Vidale, director of the Pacific Northwest Seismic Network at the University of Washington. 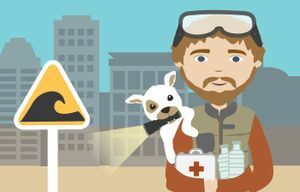 Tuesday’s event was prompted, in large part, by a July article in The New Yorker magazine called “The Really Big One,” detailing the impact of a Cascadia megaquake and tsunami. “I am keenly aware of that,” she said during the opening session of the summit, which was streamed live. Jewell pointed out that Japan and several other countries already have early-warning systems that detect the initial seismic waves from a quake and transmit alerts before the most damaging vibrations arrive. Warnings are sent to the public via cellphone, while trains and industrial processes are wired to automatically stop. “There’s no reason we can’t do this,” Jewell said, adding that it will require cooperation with communities, universities and corporations. President Obama also issued an executive order, requiring that all new or renovated federal buildings meet the latest seismic codes. It’s not enough that buildings stay standing in a quake — they should be usable after the dust settles, said Alice Hill, senior director for resilience policy at the National Security Council. Amazon awarded a $300,000 grant to the University of Washington under a cooperative-research program called Amazon Catalyst. The funding will be used to help develop ways to integrate data from GPS stations into an early-warning system. GPS measures actual ground motion and can determine the magnitude of the most powerful quakes more quickly and accurately than seismometers, Vidale explained. Intel, which has small operations in Washington but employs nearly 18,600 people in Oregon, didn’t put a dollar value on its contribution. But the company said it will help bring the high-tech community to the table to support early warning. The Puget Sound Energy Foundation is giving the UW $100,000 to add eight new seismic instruments across the state. UW scientists are especially excited by a $3.6 million grant from the Gordon and Betty Moore Foundation, which helped launch the existing prototype early-warning system now being tested in the Northwest and California. The money will be shared with universities in California. UW will get $1 million to help design a network of seafloor seismometers and pressure sensors. Positioned off the coast, such instruments could provide quick tsunami warnings. They also could reveal more about the fault’s structure, including where the biggest ruptures are likely to occur, as well as detect small quakes and patches that slip. There’s some evidence that the seafloor off Japan was slipping slowly before the magnitude 9 quake in 2011. Though that’s no guarantee the Cascadia fault will exhibit similar precursors, seismologists say it’s important to study the possibility. “Essentially, we’re doing an engineering survey of different options and how much they would cost,” Vidale said. The seafloor network’s price tag is sure to be steep. Current estimates range between $300 million to $500 million. Information in this article, originally published Feb. 2, 2016, was corrected Feb. 3, 2016. A $100,000 grant to purchase seismometers is from the Puget Sound Energy Foundation, not PSE.